When you relocate to Brunswick Forest, you will find yourself living in one of the most desirable areas of the country with easy access to shopping, dining and nightlife as well as a close proximity to a number of non-profit and charitable organizations that provide residents with volunteer opportunities. Bolivia’s Spirit Ranch is one of these organizations. 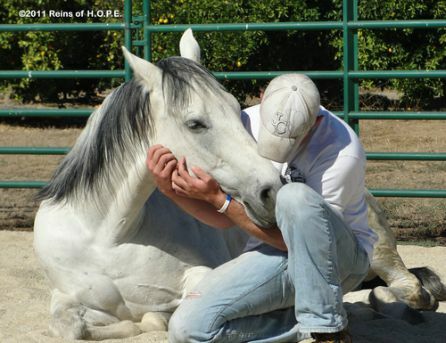 The ranch offers equine therapy sessions using the Equine Assisted Growth and Learning Association (EAGALA) therapy model to help clients with ground-based activities with horses. Program Director, Maria Hennessey, helps her clients meet their treatment goals through experiential and metaphorical learning. “We like to say that stepping in to the paddock with the horses is like taking the first step in to your new life,” says Hennessey. Hennessey has experience working with clients who are struggling with addiction issues, troubled teenagers, and has a particular soft spot for helping returning veterans.